As some of you know, yesterday we started the two weeks of activities for the Fifth On-line Encounter of Free Education, Culture and Software. This year, the main topic for the conference is social networks, but not in the twitter-facebook sense — Social networks as ways of understanding and modelling human-to-human interactions. Of course, there is interest from many attendees in using and taking advantage of said social network systems (and others), but the topic is far broader. One of the core tools of EDUSOL, and the only tool that is constantly active through our two weeks of activity, is IRC — Which is somewhat of a challenge, as we receive some not-tech-savvy users from all over the world. The first year or two we asked everybody to connect via an IRC client (and we had even decided that it would be a technological filter — We thought we would not cater for people without the technical skills to install and use IRC). Life proved us wrong, and we ended up using two web-to-IRC gateways: One of them, via an instance of CGI:IRC, and the other one via a third-party service, Mibbit. Now, the core mind behind EDUSOL is Alejandro Miranda, Pooka; I am not really into education (it is a very interesting topic but far from what I am good at). Pooka has been invovled in on-line communities analysis for several years already, since we worked together at FES Iztacala. For a long time he wanted to graph the interactions at EDUSOL, which was obviously possible given it was all centered on three tools (IRC for live chat, Drupal for generic information and Moodle for the talks and workshops' material — This has changed this year, as we are giving much more weight to Drupal and taking it off Moodle), and so last year he was finally able to generate a «EDUSOL 2008 conference photo (warning: 2MB image, 4311x3352px), where each person's avatar appears where most of his interactions were. This photo was (unfortunately) achieved using non-free software, but is very much looking at! Piespy is a bot that sits in the IRC channel logging everything that any given user "says" directly to another one, and graphs it. Not much to say here, only that it generates a very good (and practically real-time) view of what happens on the channel. 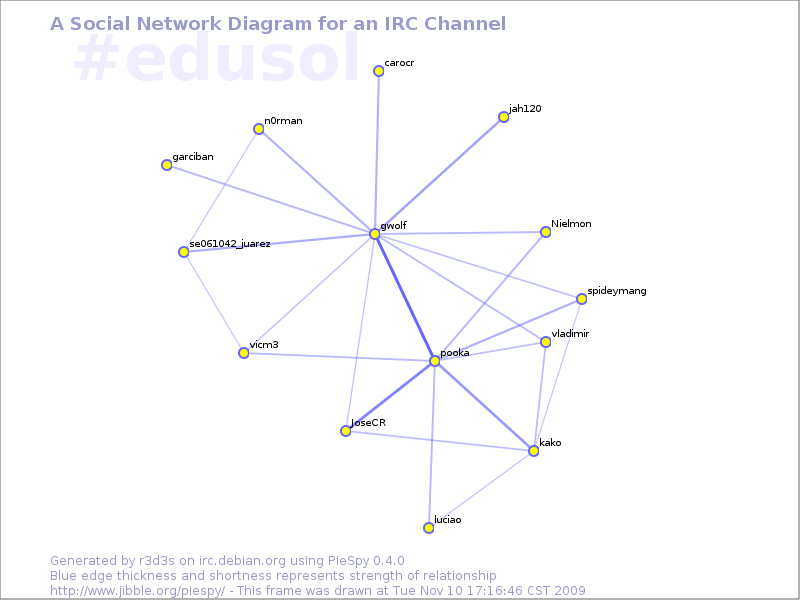 For this particular channel, and during EDUSOL, you can see here the latest IRC snapshots. This is the fifth year we hold an EDUSOL, and we are closing in on it. EDUSOL is an online encounter whose topics are Education and Free Software — Actually, this year we are widening our scope, and we will include Free Culture as well as a base area. Now, besides those three general areas, each year we have had a base topic around which we invite the speakers to talk about (although it is a lax requirement). This year, the base topic is social networks — No, not in the Twitter/Facebook/blah sense, but as a wider phenomenon, studying interaction between people, the forming of communities. And for our particular areas, the forming of knowledge-based communities. Anyway – I agreed with the organizers to provide the English translation of the participation invitation. I will skip the call for papers, as we are basically at the proposal deadline (October 17), but if you have anything you want to propose, please tell us so! EDUSOL spans several participation categories. The closest category to a traditional, face to face conference. Each year, we invite a group of speakers to talk about a topic related to our main discoursive line. Sofía Liberman Shklonikoff, Mexico. Social networks. Dolors Reig. Barcelona, Spain. Open social education. Luis Rodrigo Gallardo Cruz. United States. OpenSocial. We invite social and user groups to host talks regarding Free Education and Free Culture. This is not a call to promote Free Software, as there are many other spaces devoted to it. Want to collaborate? Further questions or comments? EDUSOL started as a proposal seeking to provide a space so that people interested in education could discuss and analize the good and bad points about Free Culture and Free Software, with no geographic restrictions. Year after year, freedom-loving educators of all Latin America and Spain gather for our annual party. EDUSOL's core language is Spanish, although participation in English is allowed and encouraged (although understanding Spanish will be a strong aid). Some people never learn to stay out of trouble. Not only that, some people seem to have a desire to run into trouble at every possible ocassion. It appears I am one of such people. I won't rewrite this whole proposal in English — Its focus is after all a Spanish-speaking community. Anyway, the Central American Free Software-related lists have been reshuffled/resetup, and I cannot yet find the public archives (which will exist, I am sure). I talked about this idea with several Central American friends during ECSL and shortly afterwards. Later, at DebConf, I talked it over with fellow attendees. And I think it is the right time to start pushing for this. I really hope we can achieve something worthy this time around! So, please, take a look at my proposal. If you are not a Spanish-speaker (or -reader), you might want to laugh at Google translate's version of it, and even make some sense out of it. If you have anything to comment, the best way will be by mailing the comunidad@softwarelibre.ca list. [update] You can now refer to the message to the mailing list and the thread under it. During the weeks between September 14 and 30 this year, the First Latin American Encounter on Free Knowledge and Licensing will be held. The encounter aims at sharing experiences and widen knowledge in regard to these two general, current interest topic lines. The initiative comes from the Knowledge as a Public Good Defense Allies Network (RADECON, Red de Aliados para la Defensa del Conocimiento como Bien Público) who, together with a group of close collaborators, seek to define a common path towards knowledge emancipation and towards Latin American integration from the perspective of a change born inside the legal protection towards liberation. I understand CLIC is Spanish-based — Anyway, I expect many of you to be interested in being part of this effort, led by the Venezuelan RADECON community! Safir, Adnan: If you want to push the Bosnian bid, please mention the pleasure it is to drink a good cup of good coffee in the morning. And Bosnian coffee really qualifies as good coffee! Fino mljevena Jubilarna kava dobivena je izhorom najkvalitetnijih vrsta sirove kave kao rezultat dugogodišnjeg iskustva tvornice Franck. After leaving DebConf on the much uncomfortable 06:45 train last Friday (uncomfortable not because of the seats but because of the timing — It basically meant not sleeping at all in order to spend a last full night of socialization+Mao), I stopped by two dear friends' houses near Madrid (Adriano+Nuria at Alcobendas, María+Borja at Alovera) and came back to Mexico. I must say I was... Really, really, really tired most of the time. On Friday, I met my friends slightly past 5PM, and all the time in between was spent walking to get some things done in Madrid. I would not call this sight-seeing as I was mostly in places I had already been before, but crossing out to-do items from my checklist (i.e. getting a much needed second suitcase, getting some music for Nadezhda's brother, finding good cheap food and so on). Every now and then, when I was not walking (i.e. while on the Cercanías trains), I would doze out - And it was common, for this couple-of-seconds dozing-out, that I would hear or even see any random person of DebConf speaking about any random topic. Quite close to a hallucinative thing! Anyway, my brain has finally understood it does not have to carry you guys around at all times, and I'm just back to (jetlagged and tired) normality. I got home at ~21:30, unpacked a couple of things, and fell asleep right away. Woke up at around 6AM. That is great, if I can sustain the trend, I will have defeated jetlag! Delete all of my signatures (not that it matters deleting others', but it is easy to set your brain to grep for yourself ;-) ) It is very important to note if any of the keys does not have your signature on — That would mean that, for whatever reason it happened, you would need to remember that key to be skipped in the caff step. Note that by specifying --no-download, I am not getting it from the keyserver but using the copy I already had on my directory, without the weak signature. And, as I checked I had already signed each of them, it was no longer necessary to triple-check the signature (as I had discarded several of the paper snippets people had given me). I trust well enough this computer, where I had done the initial signatures (and which is not accessible from teh intarwebs without compromising an intermediate server). And, ta-da, just answer some prompts (I prefer to always answer to them, checking one more time against my list, just to be sure), produce your passphrase a couple dozen times, and off the mails are sent. As a final note: I felt much, much more in control and at ease with this edition's key signing process. No more horribly long queues, no more stupid and pointless document checking. Many people just agreed to cross-sign based on the fact that we have known each other's face-to-name relation for long enough to trust it more than any government-issued IDs; other people did request an ID, so I always kept my passport handy. There are several people I engaged in interesting conversations as a result of keysigning request. This year, I did not sign any keys of people whose face I cannot remember (of course, that recalling bound to decrease with time, but it is a much stronger policy than previous years... And I might end up following a stricter one, as several other friends do). And, strangely… Well, there are many people I felt strange of not signing. People I spent long amounts of time working or talkin with, and I ultimately trust their identity. However, seems we didn't ask each other for signatures, or I didn't have a pen handy, or something like that… Anyway, that only leaves me with one more excuse to see you all guys next year in New York! I volunteered to work on producing the DebConf nametags, and worked on it closely with César (cek) for most of the afternoon. The process clearly shows no database is comprehensive enough to base DebConf on it - All in all, we managed a very good advance percentage, integrating the data on who sleeps where, how each person eats, and so on. And slightly before lunchtime, we had the final listing. Joy! Yay, nice, isn't it? Of course, inside generate_nametag_for() we have all the needed magic to position the text, resize the images and so on. All in all, a cute and nice library, even with Ruby's often strangely idiosincratic culture. Until we started checking for correctness. First, we hit Eddy Petrişor — The ş was showing as an unknown character. Of course, even though Prawn correctly understands UTF8, the built-in font does not handle Eastern European alphabets. No worries, pdf.font "/usr/share/fonts/truetype/ttf-dejavu/DejaVuSans.ttf" got us out of the predicament. But then, Andrew Lee (李健秋) appeared as a second case of undisplayable characters. And yes, Andrew has all the right in the world to expect his name, a proper UTF8 encoded string, to appear on the nametag! …The problem is that all the fonts we could find that work for CJK fail for non-US-ASCII Latin characters. Isn't Unicode supposed to solve this? Yes, fonts need to properly implement the correct encoding… Jonas explained that Prawn (as well as any libraries dealing with fonts) should really use Fontconfig so multiple fonts can be specified, falling back in case some codepoints are not specified in them. But Prawn does not support Fontconfig. To make matters worse, most Asian fonts (the Arphic family) are now shipped as TrueType Collections (TTC) instead of TrueType Fonts (TTF), in order to save space due to the tremendous similarity they have. And, you guessed it, Prawn does not yet understand TTCs (or I couldn't find how to). All sorts of ideas were brought up. After playing a bit trying to change the font being used when detecting Asian encoding (and failing at it), I threw up my hands and decided I'd just change the font whenever the name contained the "Andrew Lee" string. Dirty and ugly idea, yes, but would work. Just as I was about to do it, Andrew came back jumping with joy — He gave me an Arphic font which contains TTF files. And, lo, it properly renders Eastern European characters. All set, yay! Honestly. What a pain. I hope humanity loses alphabets forever and goes back to the stone age. That's the only sane way to leave all the multialphabet, multiencoding, multifont, multipain behind. My flight was scheduled to leave at 18:35 UTC-5 from Mexico. It left around 20:30. I took my friend Toño Malpica's newest book, Siete Esqueletos Decapitados, to have a nice reading for the road. I was worried I would miss my 17:30 bus from Madrid to Cáceres, but I had plenty of time, and everything turned out just fine. Just as I was reading the last page of Toño's book, when the bus was about to leave, Rhonda and Weasel boarded the bus — Great! Instead of five boring hours on my own (if possible, take the train — The traffic to leave Madrid is really really not fun), I had five boring hours with good company. 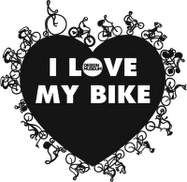 After some strange repositioning of my clothes and other contents of my bag (read: My bike!) in several grossly underoptimal configurations, we arrived at Residencia Universitaria Muñoz Torrero around 23:00. We greeted some people. About 90 minutes later, and after a verrry nice and needed shower, I was already deep asleep. ...Today, I woke up shortly after 10AM. Rushed for breakfast (and still got some! ☻), and headed to the first presential orga-team meeting for me this year. Now, once all attendees arrive tomorrow, it is very probable the available bandwidth will not be enough, even having our server in Mexico. Anyway, if we are unable to keep a decent stream up, we will locally record all said activities, and as soon as I get back home, I will make the recorded activities available. [update]: It seems to work, although differently than what I expected. Instead of streaming using my usual magic1, which died at the merciless hands of network delays, but am instead storing the file locally, and just oggfwding it to the server with a couple of minutes of delay. But so far, it seems to work! Yes, I know I had already said I would be travelling next week to the Central American Free Software Encounter. However, I was close to not making it. I had got a sponsor for the plane ticket, and counted on it. However, in a depressed economy, you cannot count on anything… Least of all on a company being able to give you money for nothing. On Wednesday, I was informed I... would not be getting the money. And although a Mexico-Nicaragua-Mexico flight is not too expensive (I got it for US$330 with TACA), it is bad to suddenly understand you have to pay this amount you didn't consider, and that it has to be right away. Well, I was crying my sorrow near Fernando "El Pop", who had originally contacted me with my prospective sponsors. He said we could ask for donations at La Cofradía Digital, a site he set up several years ago and that for a long time was a main referring point to the Mexican Free Software community and friends. I hesitated — I felt it to be more or less like standing on a corner to beg for money. But, yes, El Pop does not ask — He does. So, a short couple of minutes later, my pledge was published. Less than 48 hours, I am very happy to inform you that the money was raised, that the 100% of the ticket1 has been covered, and that I am a very happy man. I never thought so many people would end up giving money from their own pockets to see me away from this country. Today I attended RubyCamp (schedule available), organized by my friends at Instituto de Física, at my University. I presented three plugins I made and regularly use. The organizers followed a short, more informal scheme than most conferences I am used to — Talk slots range between 5 and 15 minutes, so we attended a whole day of semi-lightning talks. Of course, many people have run late, and although there was quite a bit of free space in the schedule, it has been practically non-stop — I was thinking on also giving a talk on encodings (as many people really still don't understand what is UTF-8, what is Latin1, why all that mess — People, please learn at least The Absolute Minimum Every Software Developer Absolutely, Positively Must Know About Unicode and Character Sets (No Excuses! )), but the schedule is full by now. Interesting and successful experiment, I'd say. The talks are being taped, and the organizers say they will be soon made available online. There are many cultural details to note here. First of all, yes, the Rails Fanboys _are_ a cult/sect. I think we have ~90% of MacBooks... I still fail to understand why a coder feels at ease on MacOS. I deeply despise it! ☻ Also, most of this community have bitten the Twitter plague. This is also a community very much into businessspeak, speaking a word in English for each two words in Spanish (I try to be consistent, not mixing languages at least). Some conferences have been quite business- and enterpeneur-oriented. Although I should not complain too much about this, as it is an important aspect for many people — But I still don't feel at ease having talks on how to run a business if we were asked for presentations on technical aspects! Anyway - I was quite happy to be here. This is the first real technical, code-oriented conference I have attended in a long time in Mexico. And we need more like this! We have too many entry-level, evangelization-oriented conferences, but very few like this one. Yup — Over a month ago I was contacted by Norman García (who I met via the various EDUSOL activities), and René Mayorga (who I met thanks to his Debian involvement) inviting me to join them for the First Central-American Free Software Encounter. I had insisted to several Central American friends on setting up such an encounter for several years, and I am really glad I was invited. So, if you happen to be near Central America between June 17 and 21, don't miss it! They are even organizing a bus (which still has place for more travellers!) going from Guatemala City, passing through San Salvador, Tegucigalpa and arriving to Estelí, Nicaragua. I must also prominently thank Fernando Romo and Neocenter for kindly offering to sponsor my flight to Nicaragua. You rock! EDUSOL 2009 Seminar - How to participate? 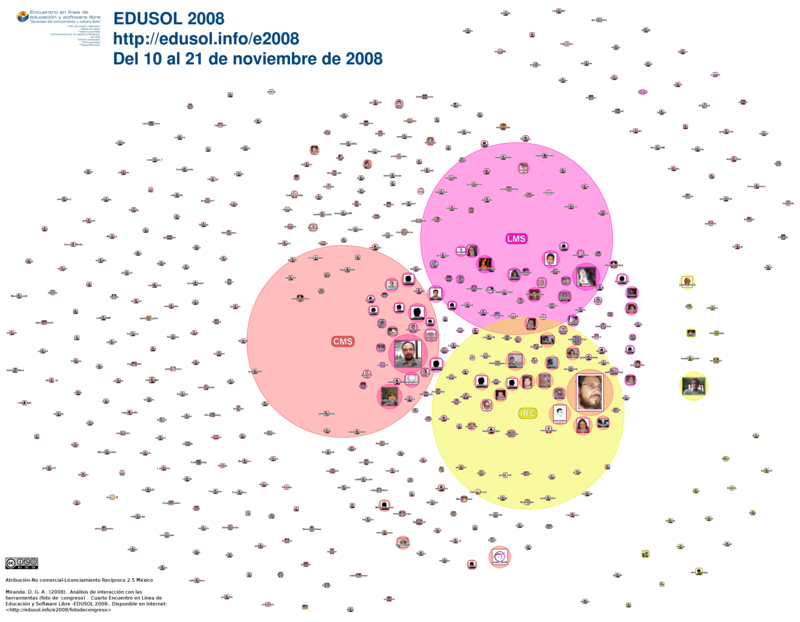 Connect to http://seminario.edusol.info:18000/edusol.ogg.m3u. What to connect with? If you are a Linux user, just about any media player will do. If you are not, download the great VLC - VLC for Windows, VLC for MacOS X. Of course, you might be interested not only on listening to our talk but in participating as well, right? Take your favorite IRC client and enter the #edusol channel in irc.oftc.net. (I won't go into further details on this post on what is or how to enter IRC - But I will explain a bit more in the EDUSOL website, in Spanish, if you need it). ...We are very hurried and excited about this all. Hope to see you there, and during our work sessions for the many following months!